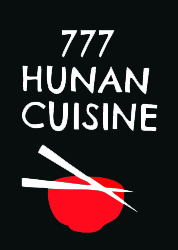 Online ordering menu for 777 Hunan Cuisine. Welcome to 777 Hunan Cuisine, Porter's hot spot for authentic Chinese and Hunan cuisine. Eat our special Sweet & Sour Delight or grab a bite of our delicious Singapore Rice Noodles. Order online for carryout or delivery today! We are located on US-59 and Church St, right by First Baptist Porter and northeast of Oakhurst Golf Club.